As you know, I love everything in the world, with the exception of three things. One of those things that I love is Shameless. So imagine my horror when I heard that there was going to be a US remake of it. I've seen what they did to State Of Play. And by 'they', I of course mean American people. They replaced my favourite actors (John Simm and David Morrissey) with my least favourite actors (Russell Crowe and Ben Affleck respectively) and turned one of the best ever pieces of TV into a boring lump of Russell Crowe. So they've already ruined one Paul Abbott show, and when I heard that they were remaking his semi-autobiographical drama, I panicked. 'How will that work?' I thought. 'It's about working class life on a council estate in Manchester, how will they do that in the US?' I thought. 'Who else but David Threlfall could possibly play the alcoholic anti-hero Frank Gallagher?' I thought. The answers to those questions, in that order, are: Really well, By setting it in working class Chicago, William H. Macy. Yeah, turns out the US remake of Shameless is brilliant. There I was, getting ready to hate it and have yet another thing about which I could say 'the Americans ruined it', when Showtime go and make it good. Dexter is on Showtime too, so I should really have seen this coming. The main reason the US Shameless works is that its faithful to the original, but its different enough to be worth remaking. It found a perfect balance, something that most remakes find hard to achieve. It isn't shot as brilliantly as the original (the unique camera work is one of the best things about the UK version) but it has managed to retain the anarchic spirit of the show. 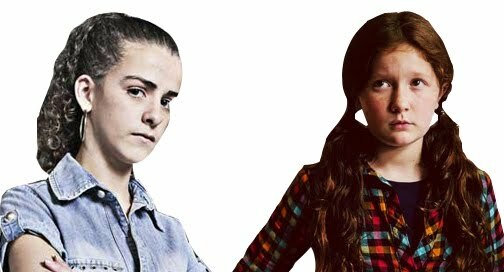 Perhaps the best thing about original Shameless is the acting, especially from the Gallagher kids, and I assumed the actors used in the remake would never come close. But they do. The performances are all brilliant, and casting Joan Cusack as Frank's agoraphobic girlfriend Sheila was an inspired move. Before watching the US remake, my attitude was that no one other than David Threlfall could possibly play Frank Gallagher; David Threlfall was Frank Gallagher. But since watching the US remake, my attitude is that no one other than David Threlfall and William H. Macy can possibly play Frank Gallagher; David Threlfall and William H. Macy are Frank Gallagher. Macy has taken the iconic role and, cliché alert, made it his own. The character manages to be selfish, greedy, drunk and opportunistic, caring for no one other than himself, doing anything for money, and neglecting his children, yet somehow being strangely loveable. Only David Threlfall and William H. Macy can pull this off. All the way through this first season of US Shameless, which finished on Sunday, I was waiting before I made my final judgement of it. I was waiting for one scene. My favourite scene from all 8 series of the original Shameless. The scene in which, spoiler alert, Lip urinates out of his window on to the head of Frank, his dad, as revenge, because Frank slept with Lip's girlfriend. In the UK version this moment came in the fifth episode of the first series, and I was worried that it had been left out of the US version. But it eventually came, at the very end of the season finale. And they nailed it. And my love of the US remake of Shameless was cemented. It isn't perfect though. I don't like what they've done with the character of Frank. (It feels good to blame them for ruining things again, I've missed this.) The original Frank's drunken rants would be an eloquent mesh of biblical and Shakespearian language, whereas US Frank just seems to be racist. The show is also missing a lot of the wit of the original. (Is there anything better for a father to say to his child than the line in that picture up top?) Also, lines which are the same in both versions always sound better when spat out in a strong Mancunian accent. But now I'm just being picky. I'm looking forward to seeing where they take this remake of Shameless. As with many long-running dramas, the storylines of the original series were dictated by actors moving on. This meant that most of the best characters left Shameless at various points. In fact, the cast at this stage of the UK version is almost completely different to when it began. Weirdly, I hope the remake doesn't follow the story arc of the original. They should keep characters around if the actors are available, rather than get rid of them when their UK counterparts departed in the original. This is a good opportunity to ask 'what if?'. For instance I'd like to see what would have happened, spoiler alert, if Lip hadn't left. Having established itself as faithful to the original with all the same characters played by all the right people in the first season, I eagerly await the return of the remake of Shameless, and I look forward to seeing where it goes. I'm also eagerly awaiting the return of the original Shameless, because its still tonnes better. The name of this blog is a very clever, very subtle play on the name of an Incubus song, Make Yourself, the song with which I will leave you. Enjoy!